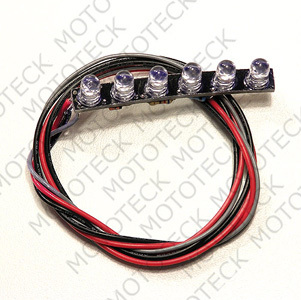 New design CV6 Leds board light, designed for NT 6 lenses tail light and Mototeck Innovation & Rack in motion under tails, very bright, sold in unit. 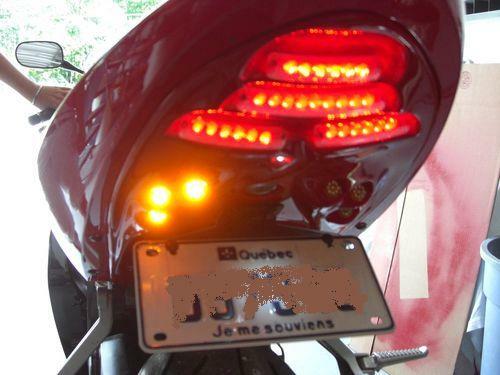 Note : this board is curved, not rectagular, if you`re looking for replacement of the turn signal led board of your undertail, you need the RT6 one. Note the for the shipping process 1 to 4 Led Board cost the same price, we use a box for shipping, for more unit price of shipping will cost more, I will E-mail you for quote total. Those Led are not DOT approved. 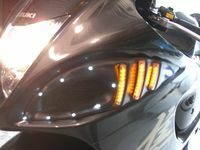 They only can be use as accessories lights.